Here is the new band from Moulin Roty: The Broc'n Rolls! They are easy to spot thanks to their quirky look full of colours. Rosie is wearing a glittery tulle dress and is easy to catch with her long legs, she will accompany your child everywhere. 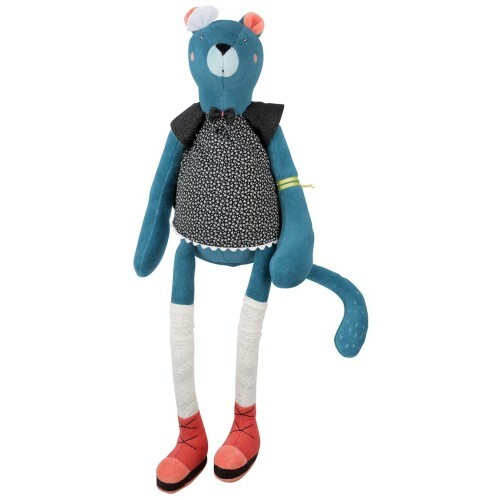 This toy will adorn your little one's room and will please kids of all ages! Dimensions: 46 cm. In cotton and polyester. Delicate wash at 30 degrees. No tumble dry. From 1.